You are here: Home » Articles » EU Referendum Series | Interview: What Will Happen To The Science & Research Sectors Without The EU Grants? This series is being run by a young Belgian living in Cardiff, known on theSprout as Ironfoot. The aim? To inform and involve other young people in this once-in-a-generation debate from many important and interesting perspectives. See bottom to get involved! The EU Referendum is just around the corner and will decide the future fate for Britain on its European Union Membership, with team Brexit (British Exit) wanting to leave the EU and team Pro-EU wishing to stay. With less than 100 days to go, there are still a lot of questions to be answered, especially on what will happen to the universities funding if it goes to Brexit. What will happen to the science and research sectors without the EU grants? On the 4th March, I interviewed postgraduate Joshua Green, who studied Physics for 4 years in Cardiff University, is currently in Warwick University completing his masters in the same subject, and will soon return to Cardiff for his PhD. During the interview, he gave some valuable and informative statements stressing why Cardiff benefits from being in the EU and what the consequences are if Brexit won the vote. 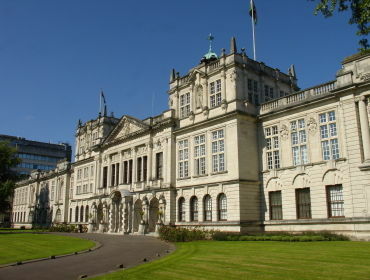 The University of Cardiff is regarded to be one of the best universities in the UK. 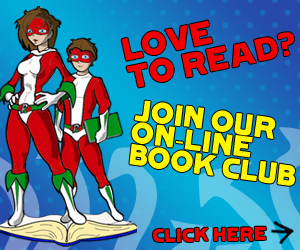 This year, it is ranked by the Guardian University Press to be 27th out of 160 in the UK and 122nd in the world. The university receives, at the moment, over 30,000 students (postgraduates included) from well over 100 countries worldwide and a large percentage of them are originally from the 28 European Union Member States. Since Britain is an official EU Member State (it has been since 1973), the country receives millions of pounds of EU funds towards universities for research and education. Joshua Green, a postgraduate of Cardiff University states, "The UK, in general in the European Union, is the second best at getting that grant money for research out of all the countries in the EU. So, Cardiff benefits immensely, especially the physics department, where about half the funding is recently from the EU". Last year, Cardiff University won a package of £13 million of EU funding towards science and technology, helping to boost research for science, providing much-needed resources for departments and opportunities for the next generation of scientists in Wales. With regards to the impacts on the research and science sectors in Cardiff if Brexit'ers get their way, Joshua stresses, "Universities will start to have a panic, going: 'Where is the money going to come from?'. "There is no guarantee by the government - regardless of who it is: Conservative, Labour, Green, UKIP, whoever is in power - it is not guaranteed these people are going to get these pots of money, so you create this panic and you are going to have to convince the government that this particular grant is worth the money given to it." "We have the capability of doing world-quality research"
"The UK is a world leader, and it is embarrassing for scientists that, out of all the 37 countries, the UK funds a percentage from its GDP lower then the average EU member, which historically and with what we have here is quite embarrassing because we have the capability of doing world-quality research". "Limited opportunities if the EU funding gradually disappears"
With just over three months to go, there are a lot of young scientists and students in Cardiff with the fear that there will be no jobs available and limited opportunities if the EU funding gradually disappears if Brexit wins. It would likely take a few years for the whole structure to reform, which could mean fewer grants available each year. What will happen to those EU students in Cardiff? Some could stay, but most might leave and go to affordable universities in the EU, like France or Germany. The realistic outcome is there will be more EU students if the UK leaves. Joshua adds, "We are losing a lot of professionals, and we are seeing this due to the actions of the Conservative government". He then ends by saying, "You want to keep these people here, especially in Wales. In fact, you want to increase the number coming in to boost the capacity of the economy. It is crucial for Wales that we retain the people that come in!" Who is likely to vote? According to some statistics, the majority of elderly people from 65+ are the ones who wish the UK to leave the European Union. One of the arguments for it is, of course, the main subject of the debate: immigration. In contrast, the majority of those who want to stay are likely to be young people from 18 to 24 for reasons of employment and the economy. "The majority of people who want to stay in, generally, are the younger generation, but people in my age group, unfortunately, do not turn up for elections on the same percentage as the older generation. I think in the last general election only about 46% of 18-24 year olds turned up to vote in the UK general election". So, why is it important for young Cardiff voters to vote in this Referendum, according to Joshua Green? "I want my generation to vote the way they want on the world before them. Because they have an interest in politics, they have grown up in this world, they will become our next world leaders and they will become our next CEO's; we want these people to mould and basically shape what society they want and not just have that view from an older generation. You want a balanced idea, you want an equal platform to allow them to decide what they want, but we don't get that and our generation suffers because we can foresee problems that maybe other generations just can't because we are the ones experiencing high rent, high mortgages, high tuition fees, the lack of jobs or just the general depressing states of things. I think we need to turn up and get that story told. This is how we view the world and this is going to be a problem." If you wish to listen to the full interview, please click the audio link here or check the box above. This project is being co-ordinated by a young Belgian living in Cardiff and is being facilitated by theSprout's Sub-Editor, Tom. If you would like to write, conduct interviews, be interviewed, become a camera or photography assistant, or more, please feel free to email tom@thesprout.co.uk.